A COTS Walk for Grateful Hearts | The Kids Beat | Kids VT - small people, big ideas! 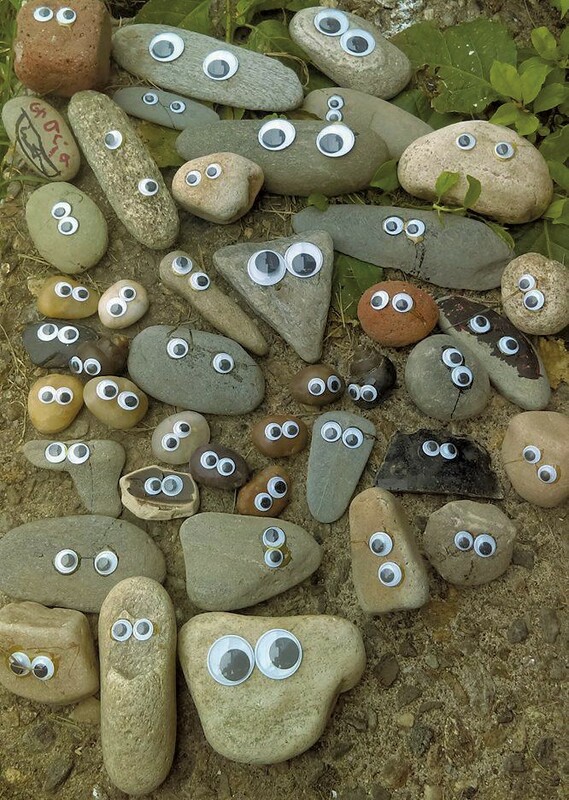 The theme for this year's COTS Walk — gratitude — was inspired, in part, by a 6-year-old Bellows Falls girl who sent a box of pet rocks to the Committee on Temporary Shelter last fall. Gracia Lenois and her dad, Darren, made them, they said in the note they included with their package, "for people who may want a pet but for various reasons can't have one." Gracia, the note continued, "is a passionate animal lover and advocate and believes these will bring many smiles to staff, volunteers and mostly the clients." For 35 years, Burlington-based COTS has provided emergency shelter, services and housing to people who are homeless or at risk of becoming homeless. In addition to the inspiration from Gracia, the organization chose to focus on gratitude because it is grateful to the community for its kindness and support. About 50 percent of its annual operating budget comes from local donors. The COTS Walk is its biggest single-day fundraiser. Presented by National Life Group this year, its target is to raise $200,000. The three-mile loop starts at Battery Park and winds through downtown Burlington. Participants can stop along the way to visit COTS shelters, housing units, the drop-in center and the main office to see how their donations help — and to get a glimpse of the challenges faced by people who are homeless. About 2,000 walkers are expected to participate, including Gracia and her dad. The COTS Walk takes place Sunday, May 6, at 2 p.m. Learn more at cotsonline.org.